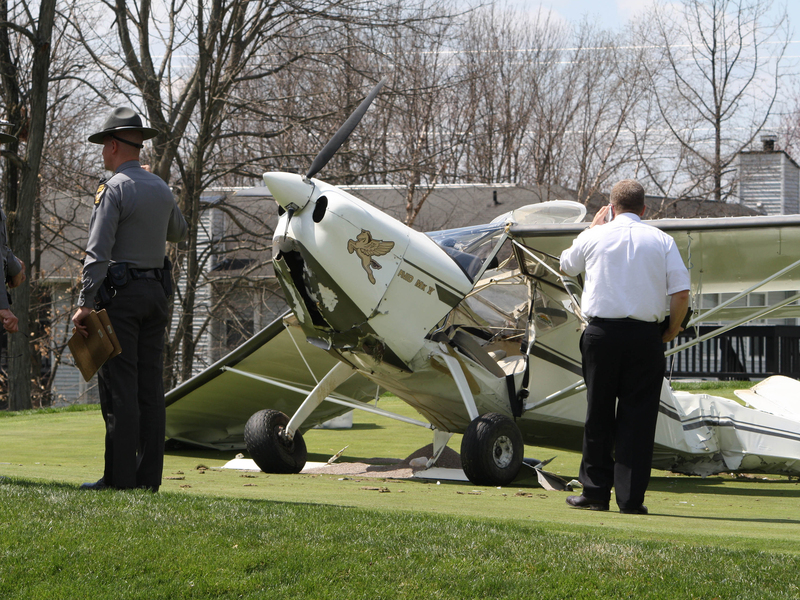 BATAVIA, Ohio - The State Highway Patrol says a single-engine plane was forced to make an emergency landing on a golf course in southwest Ohio. The patrol's Batavia post says the plane made the landing shortly before 11 a.m. Saturday on a fairway at the Stillmeadow Country Club in Clermont County. A preliminary investigation indicates the plane experienced engine failure after taking off from the Clermont County Airport. Investigators say the plane hit a sand bunker before coming to a stop and rolled partially on its side on the green. The patrol identified the two people on board as pilot Kenneth Howes and passenger and owner Karla Goodhouse, both of St. Clair, Illinois. No injuries were reported. The Federal Aviation Administration also responded to the scene.